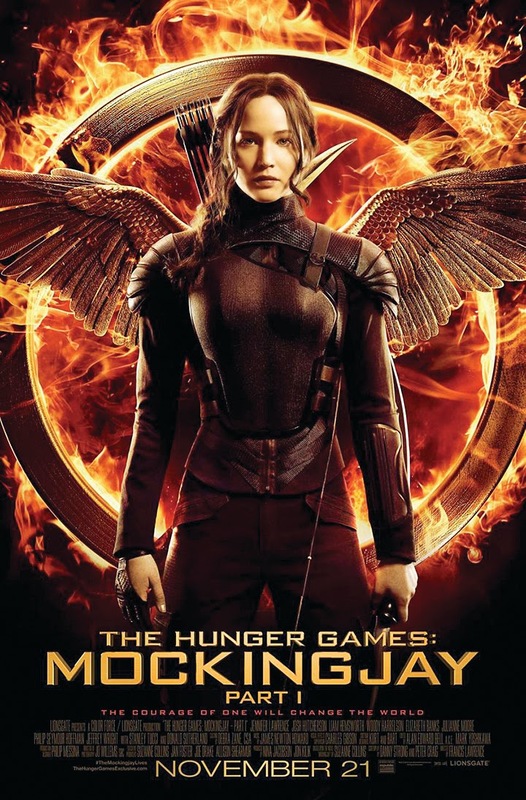 The Hunger Games: Mockingjay- Part 1 is the latest installment in The Hunger Games, a four part series of dystopian science-fiction/action-adventure films based on the same named trilogy of books by American author Suzanne Collins. As with several other popular film-to-book franchises including The Twilight Saga and Harry Potter, it was decided that this final installment of The Hunger Games trilogy would be split into two parts as well. The star studded cast of the previous films remained intact for this movie including: Jennifer Lawrence, Josh Hutcherson, Liam Hemsworth, Woody Harrelson, Julianne Moore, Stanley Tucci, Donald Sutherland and the late Phillip Seymour Hoffman. I thoroughly enjoyed 2012’s The Hunger Games and I thought that last year’s Catching Fire was a slight improvement over its predecessor. That being said, I was really looking forward to seeing what they would do with this next chapter. Furthermore, I never got around to reading the third and final book, so I had no idea what to expect from this movie and I still don’t know how the monumental story will come to an end. Mockingjay- Part 1 picks up right where Catching Fire left off. Following the chaotic and destructive end to the 75th Annual “Hunger Games” Katniss Everdeen (Jennifer Lawrence) was picked up by a rebel hovercraft and has now ended up somewhere that everybody thought to be destroyed; District 13. Her previous home, District 12 is now in complete ruins following an air raid by the corrupt Capitol of Panem. Also, during the chaos of the end of the Hunger Games, the Capitol managed to capture Katniss’ co-victor and pretend lover Peeta Mellark (Josh Hutcherson). Now Katniss must use her rebellious persona and embody the “Mockingjay", a symbol of hope for an all-out rebellion by the rest of Panem’s districts against the mighty Capitol. Overall, I had a very good time watching this movie. Academy Award winner Jennifer Lawrence is better than ever in her lead role as Katniss Everdeen and the acting is exceptional across the board. Even though this film has less action than its predecessors, it still remains the darkest chapter yet and the action it has is absolutely thrilling. Although it suffers a bit from playing the part of the slow, buildup film to Part 2, The Hunger Games: Mockingjay Part 1 still manages to entertain on a large, epic scale.